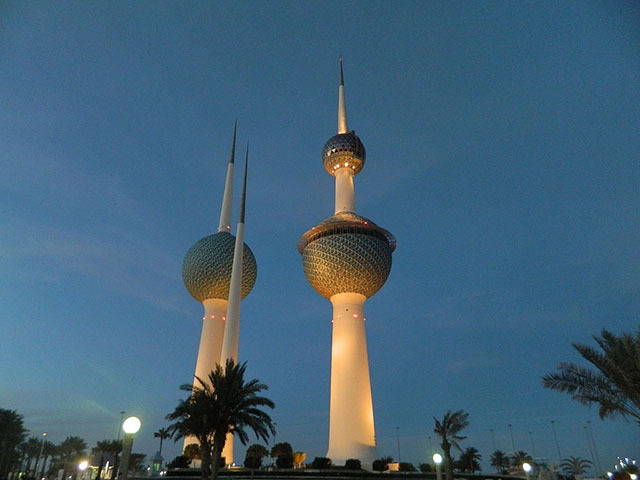 Kuwait Towers are a group of three slender towers located in Kuwait City, Kuwait. They were the sixth, and last, group in the larger Kuwait Water Towers system of 34 towers. The Kuwait Towers were officially inaugurated in March 1979 AD and are regarded as a landmark and symbol of modern Kuwait.